This new release of OS X for Mac computers comes packed with 200+ new features. You can spend days finding these by trial-and-error or by searching online. 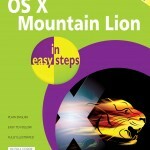 Alternatively, you can use this guide to save time and get more out of your OS X Mountain Lion. 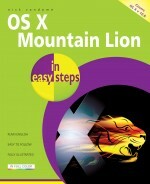 OS X Mountain Lion in easy steps opens up the gateway to the foundations of OS X: the Dock and the Finder. Then, it reveals a raft of innovative features including Dashboard, Apps, Notification Center, iMessage, Share button, Dictation, and the invaluable iCloud. 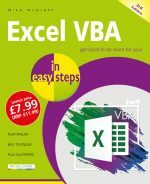 Includes a chapter on troubleshooting and keeping your Mountain Lion in tiptop shape. Whether you’re new to the Mac or just upgrading, use this book to master the essentials and then unleash the power of OS X Mountain Lion!